Sometimes, we all just need to summon our inner LaBeouf, and get ourselves pumped up with motivation. This kid is an inspiration! 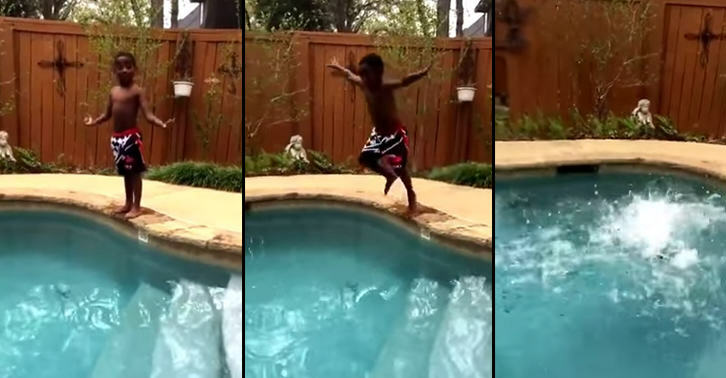 This young lad is obviously a bit apprehensive about jumping into the pool, so he psyches himself up. I’m brave! I’m strong! God made me strong! I’m going to jump into this water right now! After a little run up, his motivation pays off, and he jumps into the pool.